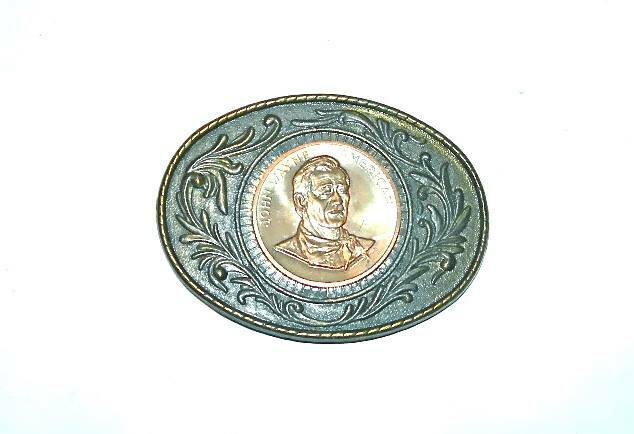 Brass with ornate relief and John Wayne coin medal affixed in the center; measures approximately 3″W, 2.25″H, and is in very good condition. Get the latest news about new inventory, sales, and special events delivered to your inbox. We respect your privacy, so your email address will not be shared.